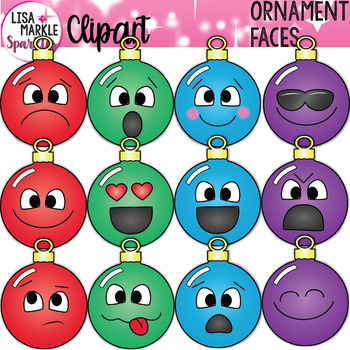 Teaching feelings and emotions will be fun and easy with this set of emotion emoji Christmas ornament faces! Enjoy using these in your teaching activities, classroom decor, teacher binders, and printables! There are 12 different emotion face graphics and black and white versions of each! Each is a 300 DPI PNG file with a transparent background. Personal and small commercial use accepted! Thank you and enjoy! Check out my other emoji face clipart sets! Emoji face clipart for all occasions!